If each of us used the energy we expend on anger and used it on kindness for our fellow man our lives and others would be full of joy. The actor Michael Landon was driving home one Friday afternoon on a Los Angeles freeway. It was hot, and the traffic was horrendous. Horns were blaring, tempers were flaring, and people were hurling insults at one another from open car windows. Landon questioned himself – why is there so much anger everywhere? Why do people hate one another so much? Why is so much energy wasted on rage? What would happen if we would expend that energy on kindness rather than on rage? Landon’s mind went back to his own childhood and the anger that often raged between his Catholic mother and his Jewish father. when someone treated them unkindly. Jesus himself lived this message, showing kindness to sinners, showing compassion to the sick, showing mercy to his enemies. Today’s readings invite us to take a look at our own lives and to ask ourselves how much kindness is present in them. and to ask ourselves how they compare to the life and the love Jesus describes in his Sermon on the Mount. 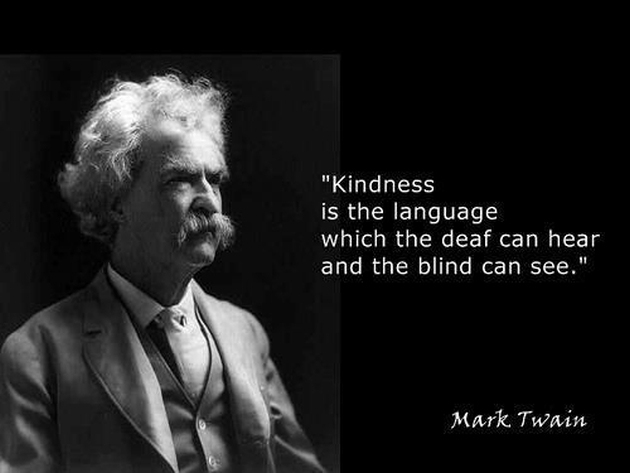 and expend it on kindness. How would our lives and the lives of those around us change and become happier? What miracle might even result if we took seriously Jesus’ teaching in the Sermon on the Mount? kindness is a power greater than nuclear power itself. of just a single nation or a single person. no matter how insignificant or how poor. our supply of kindness is not limited. the more there is to give. ← Homily for the 6 Sunday. Reconciliation before Prayer.